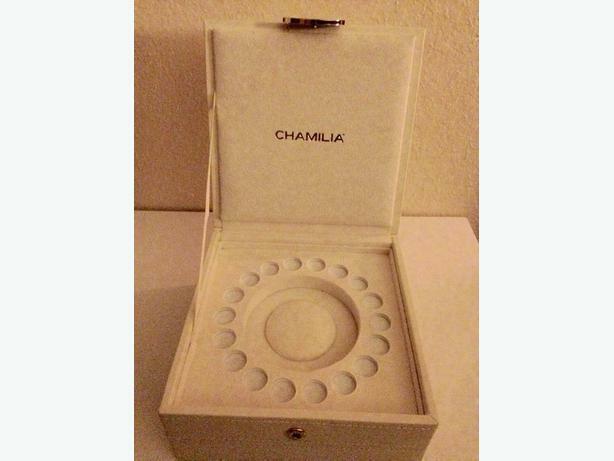 Branded Chamilia bead jewellery box for beads and/or charm bracelets. Comes in a cream faux leather with matching faux suede interior. Can also be used for your Pandora, Trollbeads, Persona, etc. Stacker-type, comes with two tiers. The upper level snaps shut so could used for travel. Smoke free, pet free home. Price absolutely firm. Cash only. You pick up.